The SIG's newsletter/journal has continued in excellent form under the editorship of Martha Steenstrup. It has continued to provide a digest of standards in the area of computer and other communications systems. Lyman Chapin also continues to tracked standards meetings as part of his "member at large" role. The joint publication ACM/IEEE Transactions on Networks (ToN) continues to be a very strong journal, and probably now the key communications publication in the world. There is a problem with ACM SIGCOMM Conference papers that are recommended to be forwarded to ToN - in the last 2 years, 5 sets of authors have failed to followup on this option. We are working with Simon Lam at ToN to try to improve this record. In gneral this has led to a decrease in the number of systems type papers, but this is an well-known ongoing problem in timescales for conference versus joural publications in any case. Proposed Joint IEEE/ACM Surveys, IEEE Networks, and Globecom Internet. The IEEE CommSoc has proposed 3 further joint activities, which are still under discussion. The online Communications Surveys journal, TOCS, and the very popular (but well regarded) IEEE Network have both asked for SIGCOMM involvement. We are assessing what we get out of the proposed deals. We are continuing to keep a watching brief on IEEE journal and conference activities to make sure that they are complementary, rather than simply competitive. from Sorensen - survey of 10 years of ex UCL Data Comms Masters Students after a few years in employment. We continue to fund the process of retrieving all (paper only) back issues of CCR, to make them available eventually online. CCR papers are now back to a really excellent standard thanks to Martha Steenstrup's efforts. MM 98, the 6th annual International Multimedia Conference and Exhibition in Bristol, England. All conferences were (will be!) technically and financially successful. 1997 saw the first SIGCOMM Service Award, made to Chris Edmondson-Yurkanan, for long excellent work in behalf of the SIG acting is conference coordinator, but also as collective memory and continuity for the community! Larry Roberts will be this year's recipients of the annual SIGCOMM award. Next year, we have a long list of possibilities, again! SIGCOMM 98 is to be in Vancouver. We have an excellent slate of papers, and good sponsorship. in Jonathan Smith, Gary Delp tech chairs, and Gerald Neufeld of UBC as general chair. SIGCOMM 99 is already planned for Boston, Mass. Another excellent conference team are in place. 7. Collaborative efforts with other SIGs or sister societies; SIGMM and SIGMobile are areas where we share sponsorship, and also a great deal of their annual conference program committees' membership. We have also recently been formally approached by SIGGRAPH to try and coordinate papers/workshops/journals/conferences, for networked graphics, including visualisation and distributed virtual reality. A tutorial at this years annual SIGCOMM (summer 97) conference is now arranged. We would especially like to thank Chris Edmondson-Yurkanan again for continuing heroic efforts coordinating with other conferences, and also, this year, Ellen Zegura for coordinating student travel grant awards for the annual conference. 9. Membership activities and/or concerns in the next 1 - 3 years, including leadership development. It is still a continuing goal to provide more and more quality technical material to members of the SIG online, and in as timely and cost effective a manner as possible. Yet again we are providing the full papers for the annual SIGCOMM conference for 1998, online before the conference - this is quite unusual (many conferences do this after the event - we believe that we have a strong enough community that people are actively attracted to the event itself because, not despite, the papers being available beforehand). We've also continued to work on attracting new members this year --Pat Dowd has worked hard on a scheme to reduce student membership fees. At the time of writing, plans for SIGCOMM 98 are well underway, and we have begun efforts for SIGCOMM 99 which will be in Boston, Mass. Ties with MM, MobiCom and Graph continue to be strong. The journal/newsletter plans are stable. SIGCOMM continues to remain very financially healthy. It has a solid basis - a stable active membership who consistently support the conferences sponsored by SIGCOMM. 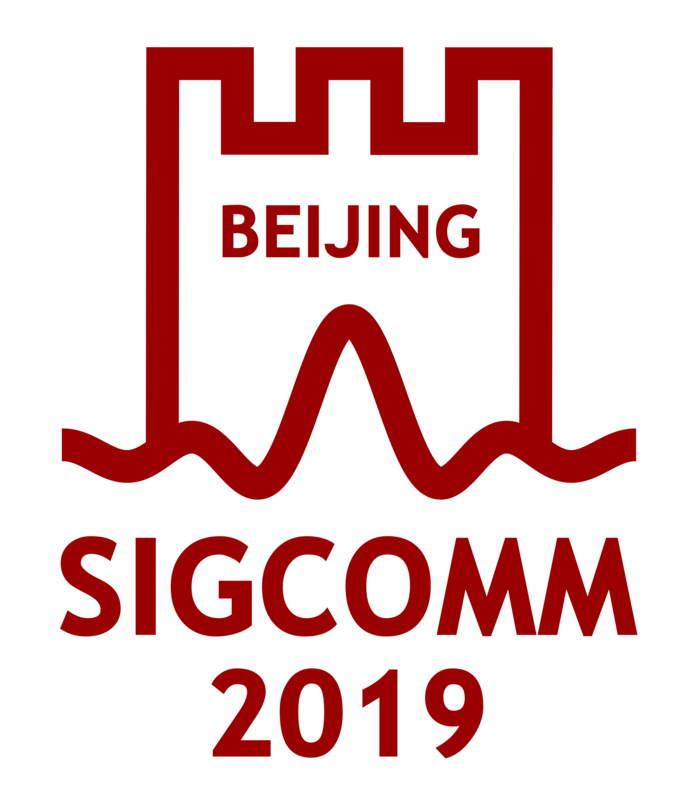 Please note that proposals are being solicited again from the SIGCOMM membership and community for Special Projects - please forward your ideas on possible projects that would benefit the membership to the chair. SIGCOMM 97 made a small profit (a pleasant surprise). We are soliciting proposals for location and chairs for SIGCOMM 00. This is being handled by a new advisory committee to the SIG Exec. This is chaired by Scott Shenker, and consits of Jim Kurose, Gerald Neufeld, and Jean Bolot. The conference will most likely be held in the Eastern half of the U.S., although we do not have to stick with tradition. Lastly we have done some work on seeing if we could move to a new election procedure that some SIGs have proposed, which invovles N+1 or more candidates standing for a slate of chairs, so that we do not tie standing to a particular SIG Exec Committee role strongly. We have a form of words that we may put to the SIG membership, but decided to leave this for the next exec to pursue. 11. Listing of computer and other equipment purchases. None. However, we are now carrying out monthly mailings of the SIG membership with SIG messages (if there are any!). This has been organised by Greg Wetzel. For more information on any of the above activities, see the SIGCOMM Home page, at http://www.acm.org/sigcomm/.